The BBQ Chicken over Apple Maple Baked Beans looks delicious! My favourite grilled chicken meal is grilled chicken from Costco with the 7 blend salad from there. It’s an easy and simple meal, which is super delicious. I’m loving Portuguese style on the bbq lately and so is everyone in the house too. My favourite chicken meal lately is a good salad with chicken. I love salads for summer and chicken is a great protein for them. I like adding a cherry and maple glaze to my grilled chicken. I like just plain old BBQ’d Chicken with BBQ Sauce and spices, that’s it! That the best reason To BBQ, the flavours stand on their own, no need to go nuts. I want to make this chicken. Has great flavors. Hey I followed your link over from the Simple Life of a Fire Wife linky party and these look absolutely delicious. I am going to pin this just so I don’t forget about this recipe. Thank you. Making me hungry at 9 in the morning. The mango chutney chicken looks amazing! 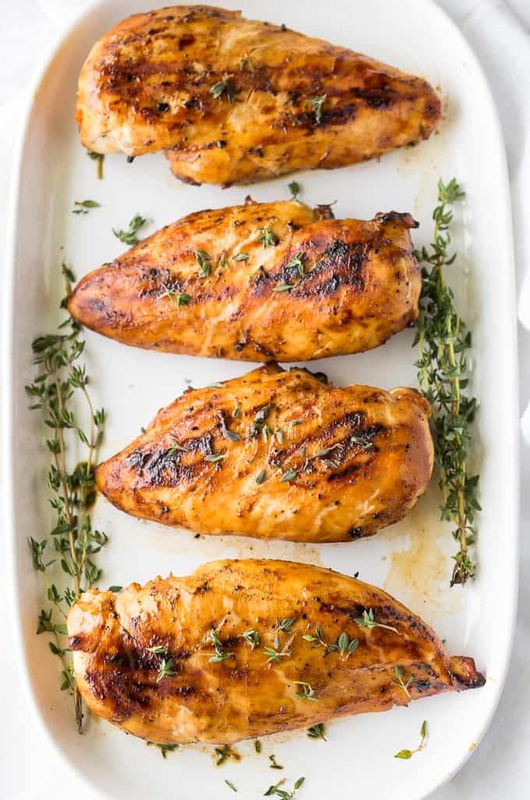 My favourite grilled chicken meal is the ginger lime grilled chicken recipe. I love bbq chicken wraps with lettuce, tomato, cucumber, avocado with creamy ranch dressing! The A Taste of Summer Chicken Sandwich looks delicious! Grilled Tandoori chicken is my fave! 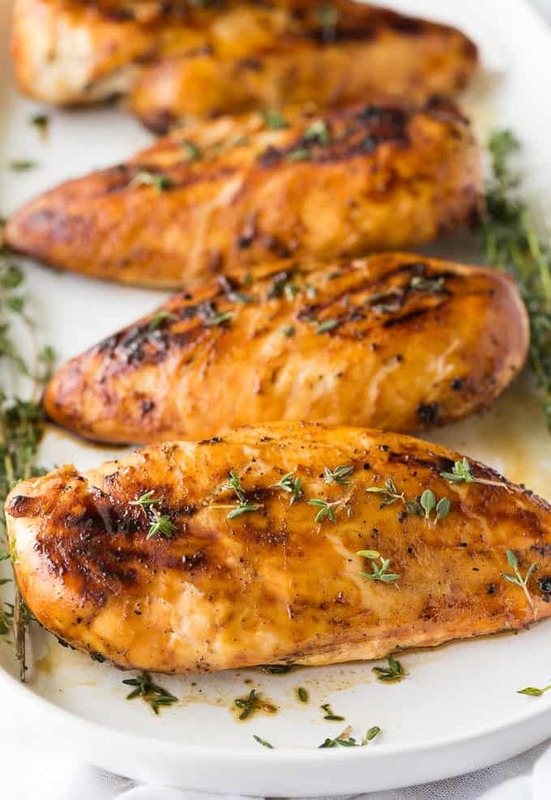 BBQ’d chicken breasts are our favourite! Made with a yummy homemade bbq sauce. Grilled chicken burgers. Nice and hot and spicy! I would like to try the Grilled Tuscan Chicken Breast. It sounds healthy and tangy-a good combination! I’ll have to try the ginger lime grilled chicken next! The Grilled Tandoori Chicken looks delicious! I made this recipe tonight, it was soooo good! i’ll be making it again soon. Thanks for a great one. 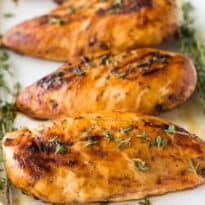 My favourite grilled chicken meal is my Dad’s BBQ’d chicken breasts – he makes the best BBQ chicken ever!! It’s his secret recipe I hope to learn one day – I know it has pepper, seasoned salt, and Kraft Original BBQ sauce, plus some secret touches of his own. I love the sound of the Barbecue Chicken Salad recipe too – just the kind of salad I like! 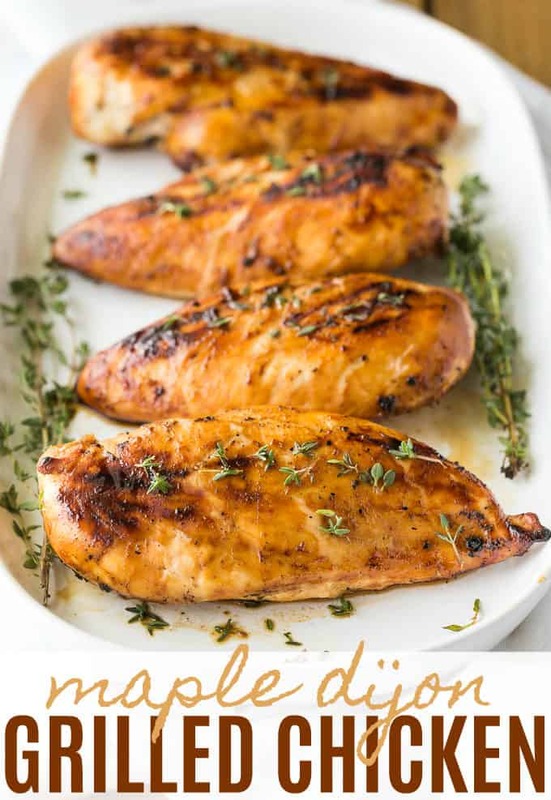 This Maple Dijon Grilled Chicken looks/sounds amazing! The Asian Chicken Wings look delicious! Spinach and feta stuffed chicken is my favourite! Mine is grilled chicken a la king! BBQ Chili Drumsticks with Avocado & Tomato Salsa are in heavy rotation here!